Please browse through the selected reputable reference materials below. If something is of interest to you, click on the image to learn more. All the prices are listed as of June 7, 2013 but please keep in mind, I am not the one selling this material. If you are interested, please click on the link and you will be redirected to Amazon. $14.46 It started with a simple observation: students need their teachers present to answer questions or to provide help if they get stuck on an assignment; they don’t need their teachers present to listen to a lecture or review content. From there, Jonathan Bergmann and Aaron Sams began the flipped classroom-students watched recorded lectures for homework and completed their assignments, labs, and tests in class with their teacher available. What Bergmann and Sams found was that their students demonstrated a deeper understanding of the material than ever before. This is the authors story, and they’re confident it can be yours too. Learn what a flipped classroom is and why it works and get the information you need to flip a classroom.You’ll also learn the flipped mastery model, where students learn at their own pace-furthering opportunities for personalized education. This simple concept is easily replicable in any classroom, doesn’t cost much to implement, and helps foster self-directed learning. Once you flip, you wont want to go back! $13.72 Crafting with Maggy Woodley. Using recycled materials and bits and bobs collected when out and about, here are over 60 utterly irresistible things to make with your kids. From adorable peanut shell finger puppets to walnut babies, loo roll marionettes and egg carton fairy lights, etc., these are projects for all the family to have fun with. And what’s more, the end results are so cute and desirable that they look great around the home, or make wonderfully unique and personal gifts.With a funky, modern design and vibrant full-colour photography throughout, this is a must-have addition to every young family’s bookshelf. $90.99 Featuring an increased emphasis on the way today’s changing science and technology is shaping our culture, this book provides pre- and in-service teachers with an introduction to basic science concepts and methods of science instruction, as well as practical strategies for the classroom. Throughout the book, the authors help readers learn to think like scientists and better understand the role of science in our day-to-day lives and in the history of Western culture. Part II features 100 key experiments that demonstrate the connection between content knowledge and effective inquiry-based pedagogy. 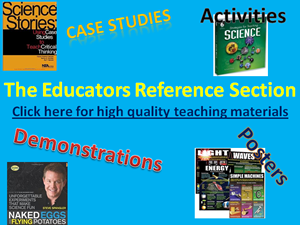 $99.95 Grade 6 – 12: Research-based information and management techniques support teachers as they implement the strategies within this resource. Topics cover Inquiry & Exploration, Critical Thinking & Questioning, Real-World Applications, Integrating Technology, and Assessment. Includes resource CD. 376 pages. $99.95 K – Grade 5: Use practical strategies and model lessons to enhance science instruction. Topics cover Inquiry & Exploration, Critical Thinking & Questioning, Real-World Applications, Integrating Technology, and Assessment. Includes resource CD. 376 pages. If you want you kids to learn the concepts of weather, Seasons, Parts of the body and much more then this is a fabulous cd! My best friend and I use the cd in Kindergarten to get our students up and moving to the club like beats. It’s a great way to get the younger students and older ones to retain important info. Even when we aren’t learning these topics, the kids want to hear the songs! $33.20 Stories put “flesh and blood” on the scientific method and provide an inside look at scientists in action. Case studies deepen scientific understanding, sharpen critical-thinking skills, and help students see how science relates to their lives. In Science Stories, Clyde Freeman Herreid, Nancy A. Schiller, and Ky F. Herreid have organized case studies into categories such as historical cases, science and the media, and ethics and the scientific process. Each case study comprises a story, classroom discussion questions, teaching notes and background information, objectives, and common misconceptions about the topic, as well as helpful references. New $59.40 Used $40.00 Beyond Monet: The Artful Science of Instructional Integration. This 384-page full color volume is the culmination of the authors’ experience teaching and learning in the classroom and through research. It focuses on how to integrate a variety of instructional skills and strategies based on the knowledge of how students learn. It provides numerous sample lessons at all grade levels. Used $13.85 New $174.49 Classroom Management (A Thinking and Caring Approach) – Heard about this one from a colleague. He tells me that it’s a fantastic book on classroom management. Did I miss something you feel should be on this list? Please include it in the comments section below.